As part of our "once in a lifetime" ground improvements - and now that grass has made a welcome comeback to Crompton Meadows - we are looking to season 2019 anda return home. To enhance the look and visitor experience on match day, we are planning to put benches around the ground. Similar to the one featured below, they will be permanently fixed in position and will also have a plaque for patrons, sponsors, friends, family, ex-players to have naming rights. To cover the costs of bench and bespoke plaque we are asking for a donation of £220 per bench. 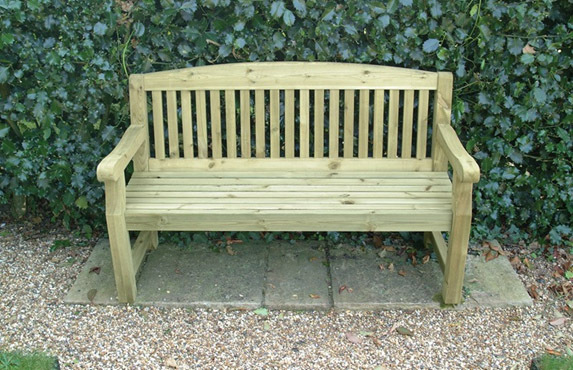 We are looking to install a maximum of 10 benches over the winter – so if you are interested do not miss out! Contact Kieran on 07525 173154 to book / confirm wording on plaque.